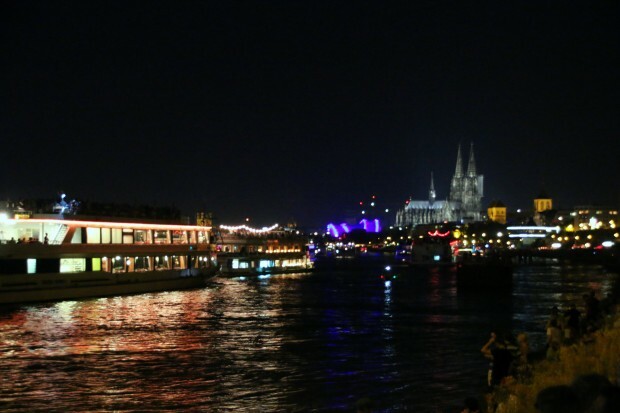 Every year on a Saturday night in July the city of Cologne or Köln (how it is called in german) arranges the “Kölner Lichter”, one of the greatest music-synchronized fireworks of Europe. 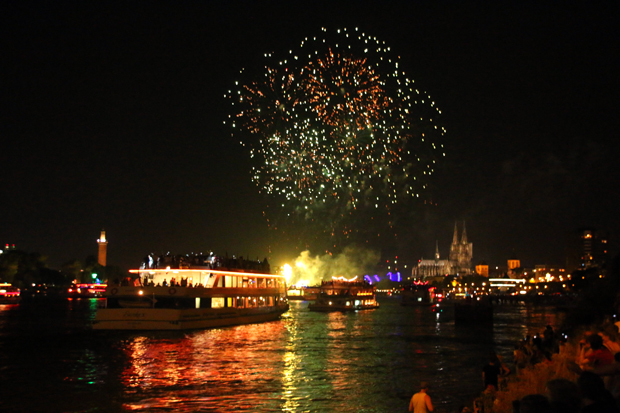 They were established in 2001; the idea for it emerged from a fireworks at the Rhine in 1817. Every year more and more people come to attend the event. 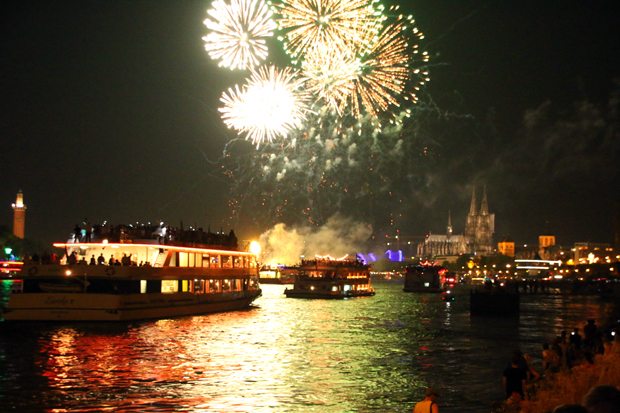 By now their number rose up to one million people who line up along both sides of the Rhine to see the Fireworks which is displayed from a pontoon boat on the river between the Hohenzollern bridge and the Zoo bridge. 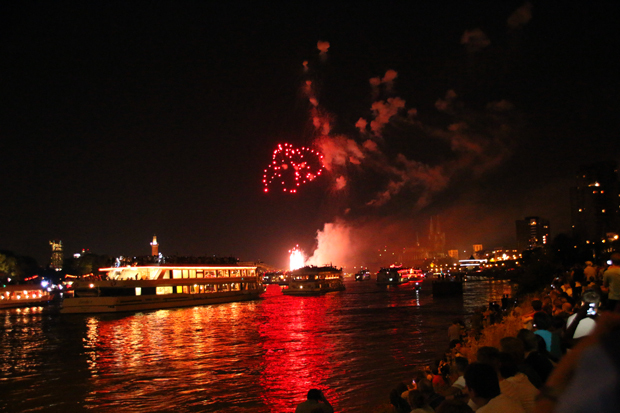 The music programm, which takes place on several stages, starts already in the afternoon and the good thing is that the admission is free for the whole event unless you want to watch the Fireworks from one of the passenger boats or from the main stand. Everywhere else people bring their own food and barbecues and spend time with families and friends. 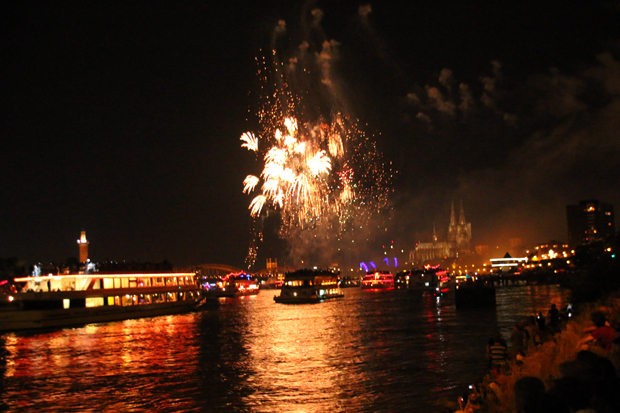 In the evening there are several fireworks along the Rhine between Cologne’s district Porz in the South and the Mülheimer bridge in the North. The music-sychronized main fireworks start at 11.30 PM and takes about half an hour. 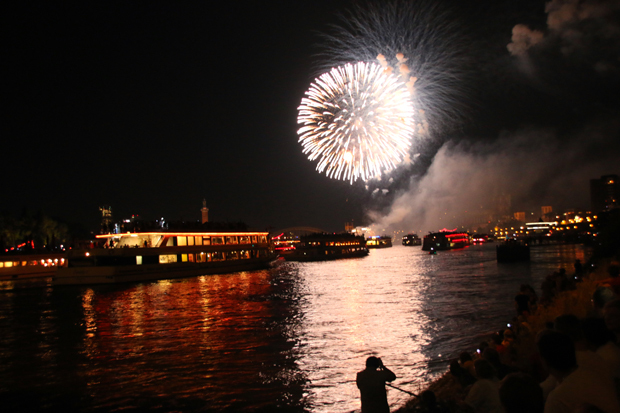 Every year a certain topic is choosen and the music and fireworks display are adjusted to it. 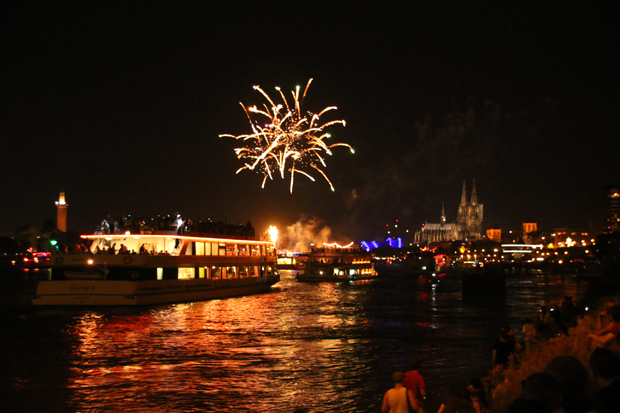 In the next few years the “Kölner Lichter” will take place on the 11th July 2015, on the 16th July 2016, on the 15th July 2017 and on the 14th July 2018. Tickets for the passenger boats range from 161 and 231 Euros including dinner, but not all passenger boats have published their prices yet. Tickets for the “Früh”-main stand cost 62 Euros and the standing tickets on the Hohenzollern balcony 33 Euros. The “Domblick” terrace is sold out already for 2015. 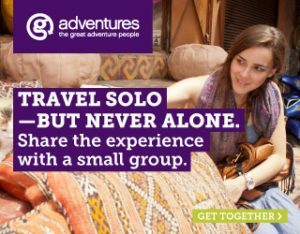 All entrance tickets are plus additional advance booking fees. Everywhere else the admission is free, the “Tanzbrunnen”, the areas “An der Bastei” and further north, around the “Rheinpark” and the “LVR Tower” are especially popular. It is recommended to arrive everywhere until 8 PM. More information (unfortunately only in german) can be found on the official Homepage of the Kölner Lichter.